OMA, AOMORI PREF. – The mayor of Oma, Aomori Prefecture, who supports the construction of a local nuclear plant, was elected Sunday to a fourth term, defeating three first-time candidates. The victory by Mitsuharu Kanazawa, a 66-year-old independent, came in the first mayoral voting in Oma in 16 years. In each of the past three races, he was handed a new four-year term since he ran unopposed. Voter turnout came to 78.89 percent. The main election issue was the ongoing project by Electric Power Development Co., better known as J-Power, to construct a nuclear plant in the town, with the start of operations slated for around fiscal 2024. During the campaign, Kanazawa attracted voter support by highlighting the job-creation potential if the plant is constructed ahead of schedule. Of the three challengers, Naofumi Nozaki, 61, a former town official, said Oma should not rely fully on the nuclear plant, while Hideki Sasaki, 67, called for a referendum on whether to go ahead with the project. The third, Atsuko Kumagai, 62, called outright for the project to be canceled. Kanazawa garnered 2,081 votes while Nozaki gained 1,523. Sasaki received 79 votes and Kumagai got 34. KASHIWAZAKI, NIIGATA PREF. – A candidate who pledged to conditionally approve the restart of the world’s biggest nuclear power plant has been elected mayor of Kashiwazaki, Niigata Prefecture. Masahiro Sakurai, a 54-year-old former member of the city’s assembly, on Sunday defeated Eiko Takeuchi, 47, a former municipal employee who opposes the restart of the Kashiwazaki-Kariwa complex on the Sea of Japan coast. During the campaign, Sakurai said he would not reject a restart of the power plant if Tokyo Electric Power Company Holdings Inc. takes into account the opinions of nearby residents and ensures the facility’s safety. He was supported by the Liberal Democratic Party and local businesses. Takeuchi promised not to accept the plant restart, saying it will expose the public to danger. She had official support from the Japanese Communist Party and the Social Democratic Party. Speaking with reporters Monday morning, Sakurai repeated his pledge to gradually reduce dependence on nuclear power but that he sees value in the plant operating for a certain period of time. He also referred to decommissioning some of the reactors, saying the process should create jobs in the city. It remains uncertain whether Tepco will be able to resume operation of the plant due to opposition from Niigata Gov. Ryuichi Yoneyama, who was elected in October. An agreement, though nonbinding, between the utility, Kashiwazaki and Niigata Prefecture is essential to restart the nuclear power station. The power station straddles Kashiwazaki and the village of Kariwa. Kariwa Mayor Hiroo Shinada, who supports restarting the plant, was handed a fifth term Nov. 15 when no one ran against him. Whether to restart nuclear facilities has dominated several local elections across Japan, especially since the accident at the Fukushima No. 1 nuclear power plant in March 2011. Reactors 6 and 7 at the Kashiwazaki-Kariwa plant are boiling water units, the same type that suffered core meltdowns at Fukushima No. 1, raising safety fears. If all of its seven units are in operation, Kashiwazaki-Kariwa is the world’s largest nuclear power complex, boasting a combined output capacity of around 8.2 million kilowatts. A pro-nuclear power advocate who campaigned on a platform of rebooting the world’s largest nuclear power plant is placed to win the mayoral election in the Japanese City of Kashiwazaki, in Niigata Prefecture, exit polls reported by local media showed Sunday. According to Kyodo News, Masahiro Sakurai, 54, who formerly worked for the city council in Kashiwazaki, will become mayor, having beaten his opponent Eiko Takeuchi, 47, a former employee of the city, who stood in opposition of the Kashiwazaki-Kariwa nuclear complex being restarted. Despite the likely win for Sakurai however and his plans to bring the mega-plant on the Sea of Japan back on-line, the plant’s utility may not get the green light to restart its idled reactors, as a month earlier Ryuichi Yoneyama, an anti-nuclear candidate, won the gubernatorial election in Niigata Prefecture. Yoneyama winning the race was a major blow to Tokyo Electric Power Company Holdings Inc. as well as Prime Minister Shinzo Abe’s ruling administration, who favors bringing the nation’s nuclear power plants, idled in the wake of the Fukushima disaster in 2011, back online, as he has unequivocally stated that he will not accept the plant being restarted. “Let me clearly say that I cannot accept the restart of the Kashiwazaki-Kariwa plant under the current circumstances where I cannot protect people’s lives and live as I have promised,” Yoneyama was quoted as saying to his supporters recently, with reference to major concerns in the area over the plant’s checkered safety record. The Kashiwazaki-Kariwa power station that Sakurai wants to reboot is located in the towns of Kashiwazaki and Kariwa in Niigata Prefecture, on the Sea of Japan, and was central to Yoneyama’s winning campaign, with incumbent Gov. Hirohiko Izumida, who was not seeking reelection, also voicing skepticism over the safety of the plant’s restart. For the power station, with a potential output of 8.2 million kilowatts making it the largest in the world to be restarted, an accord has to be struck between the city, the prefecture and the utility, with Yoneyama likely to be the bottle-neck. Safety concerns have been rife in the region as the Kashiwazaki-Kariwa plant’s Nos. 6 and 7 units use the same boiling water technique as the reactors at TEPCO’s Daiichi plant in Fukushima that suffered multiple meltdowns in 2011, leading to the worst nuclear disaster since Chernobyl in 1986. The Kashiwazaki-Kariwa plant itself has been no stranger to accidents and controversy and in 2007 an earthquake caused reactors at the plant to catch fire and leak radioactive materials. As with Fukushima Daiichi, the plant is also owned and operated by the embattled Tokyo Electric Power Company (TEPCO), which is currently under state control. 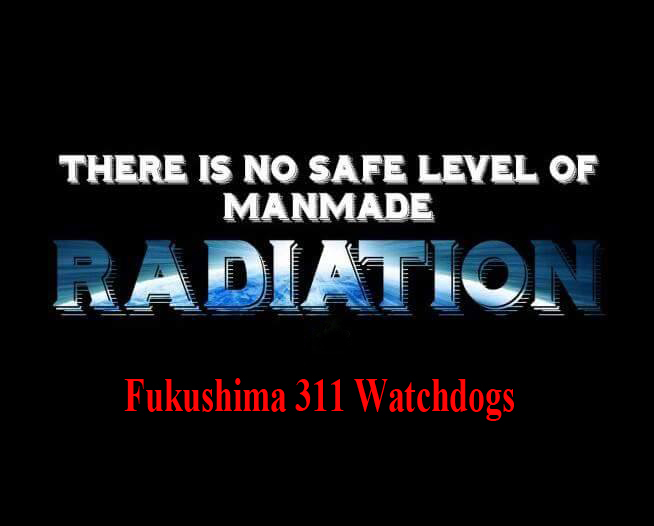 Following TEPCO’s numerous coverups, continued misinformation and other monumental gaffes related to the ongoing Fukushima disaster, public opinion towards the utility, and, by default, the government here, has remained indignant and distrusting. Voters in a Japanese city that hosts an offline nuclear power plant have chosen their new mayor. Independent Masahiro Sakurai conditionally supports plans to restart the plant. He defeated the only other candidate, who opposes the restart, in the election in Kashiwazaki, Niigata Prefecture, on Sunday. Sakurai endorses the plan to restart the Kashiwazaki-Kariwa plant with some conditions, including ensuring its safety. He also insists that the number of nuclear plants needs to be reduced in the future. During his campaign, Sakurai said the plant’s operator, Tokyo Electric Power Company, as well as the central government should play a proactive role in preventing nuclear disasters. He promised to work for necessary legal revisions. Sakurai also urged the city to overcome the division regarding the restart. He garnered support from local business leaders and many municipal assembly members. Last month, a candidate with a cautious stance toward the restart won the election to become the prefecture’s governor. Masahiro Sakurai (left), a former Kashiwazaki city assemblyman, and Eiko Takeuchi, a former Kashiwazaki municipal government worker, kick off campaigning Sunday for a mayoral race set for Nov. 20. Campaigning for the mayoral race in the city of Kashiwazaki, Niigata Prefecture, kicked off Sunday, with two candidates locking horns over whether to approve the restart of the Kashiwazaki-Kariwa nuclear power plant. Masahiro Sakurai, 54, a former Kashiwazaki city assemblyman, and Eiko Takeuchi, 47, a former Kashiwazaki municipal government worker, registered their candidacies in the Nov. 20 election to choose a successor to incumbent Mayor Hiroshi Aida, who decided not to see a fourth term. Sakurai said he would approve the restart of Tokyo Electric Power Company Holdings Inc.’s nuclear plant if assured of Kashiwazaki citizens’ safety. Takeuchi, backed by the opposition Democratic Party and Japanese Communist Party, however, has said she would demand that the plant, which straddles Kashiwazaki and the village of Kariwa, be left offline. Gov. Ryuichi Yoneyama, who is reluctant to allow the plant to resume operations, won the gubernatorial election last month.